Have you ever dreamt of building your city? To be honest, we've often imagined expanding Test Pit Towers into Test Pit Town - a place where things get tested and typos get typeded. However, we'll never have the space nor the cash to construct an entire city... except the one we're currently working on in the living room. 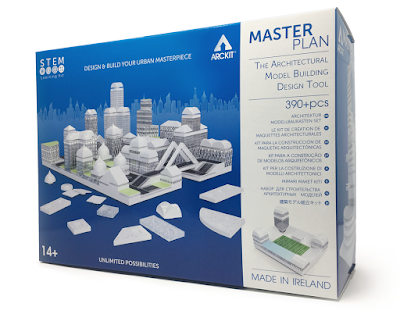 Great for kids and architects alike, we've been playing around with the Arckit Master Plan set. The what? Well, Arckit, a new one on us, is a range of construction kits designed to get both adults and kids thinking about architecture. Some of the sets allow you to build your own scale models of individual homes, whereas the Master Plan kit is geared toward creating entire cities on a smaller scale. 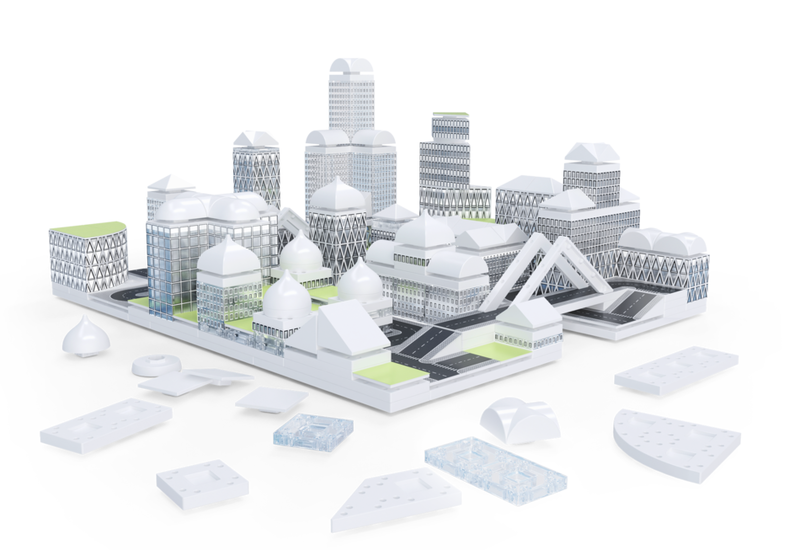 Containing 390 parts, Arckit Master Plan helps you build towering office blocks, neat rows of houses, roads, bridges, and rivers. All the parts, which are similar in thickness to LEGO plates, press together firmly and stack up, layer after layer, to give the impression of actual buildings. 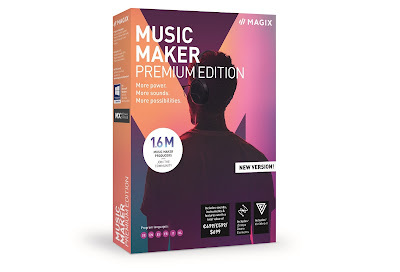 There are no instructions; just your imagination. That means you can sit down for hours to create a huge town, or just a few minutes to make a small house or apartment building. All the parts in the Arckit Master Plan set are either white or transparent. They have that clean architect feel, where shape and form are more important than colour and texture. However, the kit also includes several sheets of graphic stickers; some that add window-like patterns to the transparent parts, and others that give the impression of actual details, such as a football pitch or road. Most of the parts, which connect together using a very unique system (i.e. 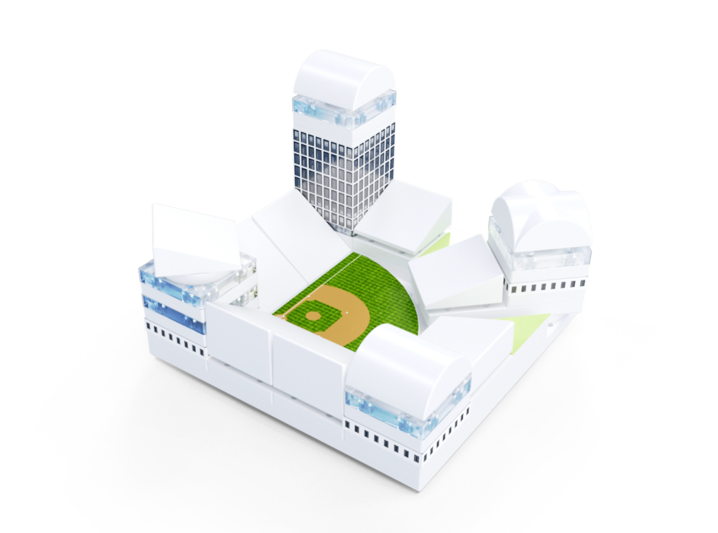 they are not compatible with other building block systems), are square or rectangle, but there are some curved and triangular parts included, too. They are very tactile and tough, and just holding a few in your hands makes you want to click them together and explore the resulting shapes. There are a few larger base plates in the box, which work well either connected together to form the base of your grand capital, or alone to assemble a small and tidy little district. We found that the Arckit Master Plan kit was the kind of thing that all ages of budding builders could get involved with. The box recommends a lower age limit of 14, but we had kids as young as four get involved and have fun. The pieces clip together far easier than most other block systems, so little hands can build and create as well as older, larger ones. Our only complaint was that those connections weren't the firmest. Several times we had the odd building come loose from the base, and although the thinner plate pieces compress tightly together, making the individual structures very firm, they would occasionally pop off the base. Then, lo - devastation was wrought upon Test Pit Town! Still, if you're thoughtful about your placement, and reinforce buildings by alternating the direction that you build as you go up, it should be fine. So, if you're wanting to get into architecture and need a building system that will help your ideas become a reality, this is great. However, as a standalone play and education kit, it is also great, allowing kids to freestyle some wacky and weird (or downright sensible) buildings and cities.